When will be Petite Princess Yucie next episode air date? 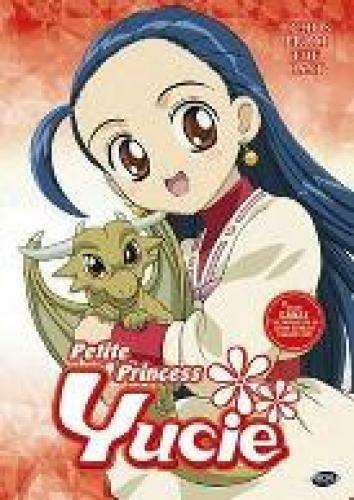 Is Petite Princess Yucie renewed or cancelled? Where to countdown Petite Princess Yucie air dates? Is Petite Princess Yucie worth watching? Poor Yucie is stuck in a ten-year old body. But she's really 17 years old. All she wants to do is get her adult body back. But hearing the opportunity to become a Platina Princess and making a wish, she gradually goes to reach that goal at a princess school. Their she makes new friends, but might discover a horrible secret when they graduate. The Platina Princess tiara made for destruction, every 1000 years or so, it chooses five girls that have the ability to become a princess. Yucie, Elmina, Beth, Glenda, and Cocoloo are the ones chosen and their journey begins when they see the bright light of the tiara. EpisoDate.com is your TV show guide to Countdown Petite Princess Yucie Episode Air Dates and to stay in touch with Petite Princess Yucie next episode Air Date and your others favorite TV Shows. Add the shows you like to a "Watchlist" and let the site take it from there.